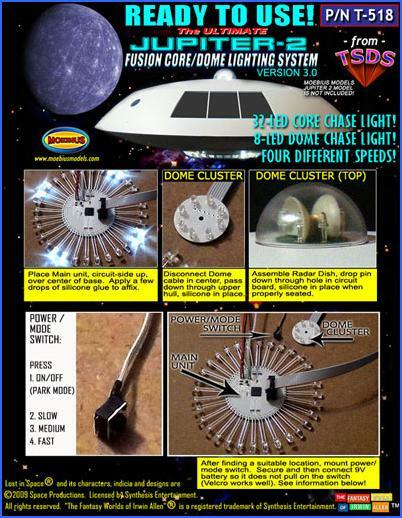 FUSION CORE and DOME LIGHTING SYSTEM v 3.0! 40 WHITE LED’S, 9V BATTERY POWERED! 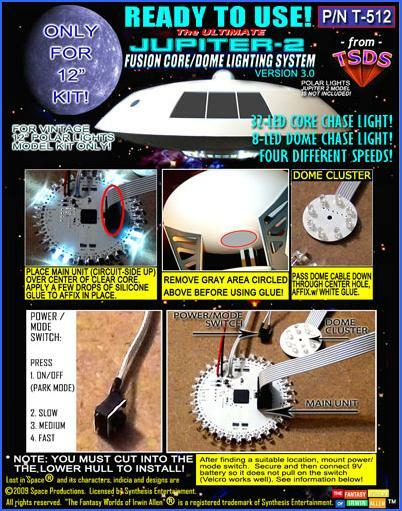 REMOVABLE CABLE BETWEEN CORE AND DOME DISCONNECTS EASILY FOR SERVICING / VIEWING! 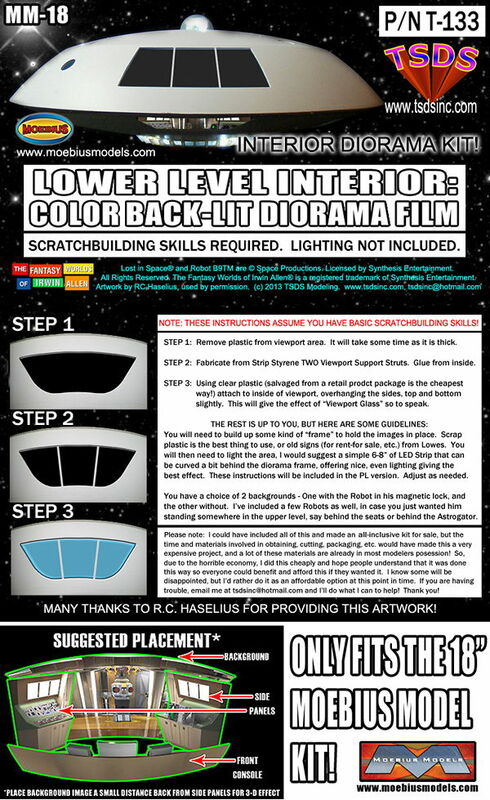 DISPLAY YOUR JUPITER 2 MODEL KIT WITH PROP-QUALITY LIGHTING! No advanced modeling skills are needed to install this. Professionally designed and engineered to replicate the studio prop! The light pattern varies slightly when accessing the 4 available speeds. It looks EXACTLY like the studio miniature when installed. TRANSLUCENT (BACK-LIT) PANELS. DESIGNED TO CREATE A LOWER DECK DIORAMA VISIBLE FROM OUTSIDE THE MODEL. NOTE: REQUIRES SOME SCRATCHBUILDING SKILLS TO CONSTRUCT A LIGHT BOX and A LIGHT SOURCE WILL BE NEEDED (NOT INCLUDED). THE IMAGES WERE PROVIDED BY RC HASELIUS! 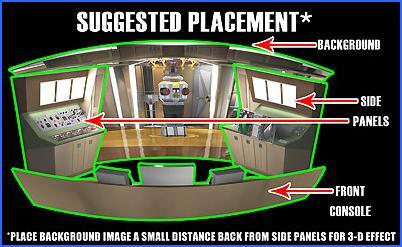 COMES W/ TWO BACKGROUNDS, ONE WITH AND ONE WITHOUT THE ROBOT. EVERYTHING ELSE YOU PROVIDE! THIS ITEM ONLY INCLUDES THE IMAGE FILMS AND INSTRUCTIONS. 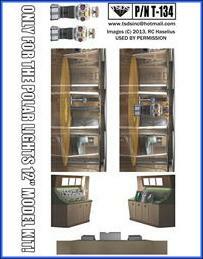 18” is the MOEBIUS KIT, 12” is the older, vintage Polar Lights kit. 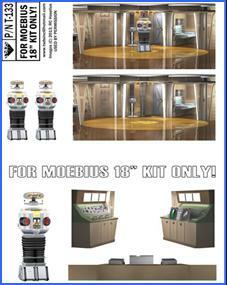 EXACTLY THE SAME AS THE ONE WE SELL FOR THE 18” MOEBIUS MODELS KIT! 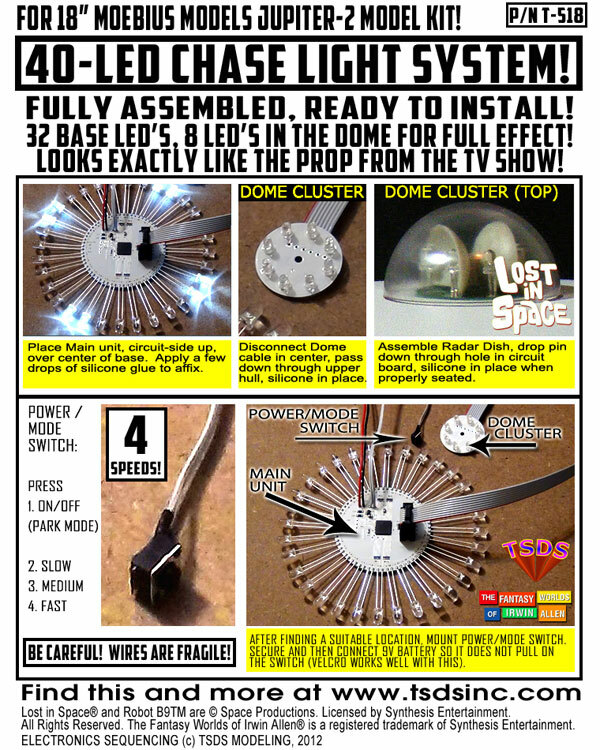 40 WHITE LED’S, 9V BATTERY POWERED! 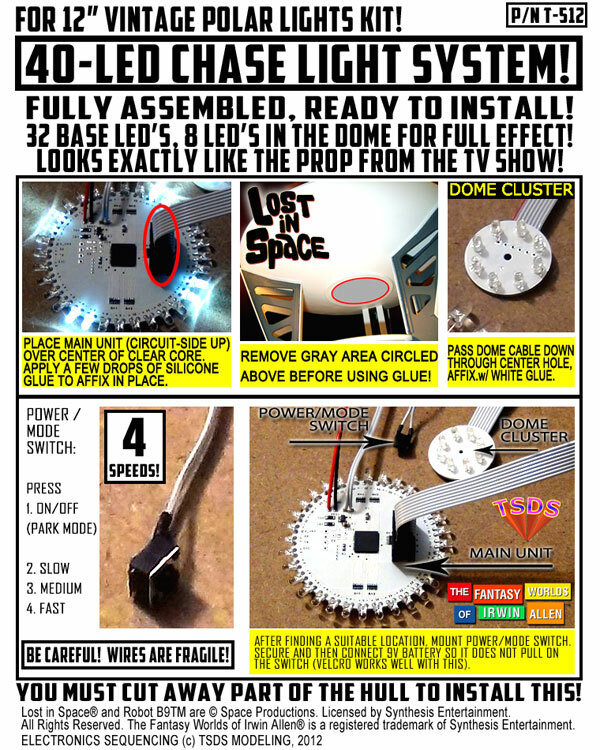 REMOVABLE CABLE BETWEEN CORE AND DOME DISCONNECTS EASILY FOR SERVICING / VIEWING!